from the aspect of what other cultures can learn from them. 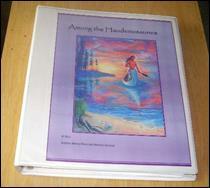 35 lesson plans complete with concepts and activities for 4th Grade. Everything to make a Teacher's job easier while presenting new information to student. It is adjustable to add or omit information as may be suitable for your class or area. It is a fun course about the life ways of the Iroquois. Companion book~ "Spirit Winds of Peace: Epoch of the Peace Makers"
This was a project I knew I wanted to do. School history books were totally inadequate when relaying the history of the Original Peoples who lived here before the Europeans came enmass. Writing curriculum was something I knew nothing about. In fact, I figured, 30 lessons, 30 days. How fortunate I was to find a retired history teacher just down the road from me, who agreed to help with this project. As it turned out, I was really in need of an "expert". According to the Hopi, in the beginning of time, the Creator of Mankind sent humans into the four directions. Each was given a responsibility and we call this responsibility a guardianship. Humans were instructed to learn all they could about their guardianship because there would come a time when they would come back together, and at that time, all peoples were to share what they had learned and make a Great Civilization. And so we came together. The United States has long been considered a "melting pot" of cultures. We have shared the teachings of peoples all over the world, but the teachings of the First Nations have been overshadowed by cultural and language differences, and the disparity in world view. Have you ever wondered what we might have learned from the Red man and Indigenous peoples the world over, if we would have been able to make connections across cultural differences in verbal communication and basic thought? It has been 500 years since the European first set foot upon this land the Native American calls Turtle Island. And in that time, very little is known about what the original inhabitants of Turtle Island learned about their particular guardianship. Perhaps it is never too late to find out what these first peoples of Turtle Island have to teach us, the rest of the world. Their understanding of the Earth Ways may yet be the saving factor in an ailing world overused by its human occupants. 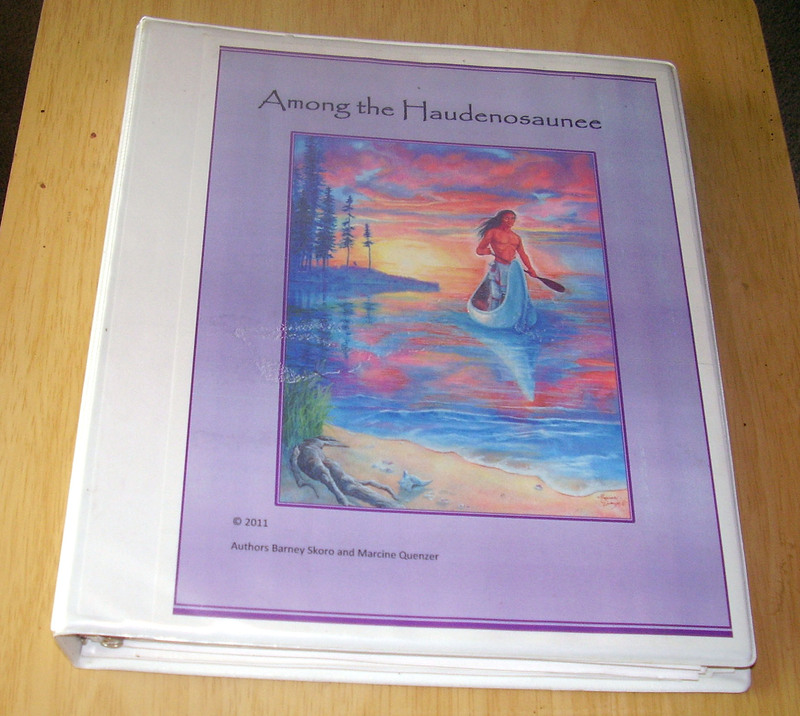 This curriculum, based on the oral teachings of the Haudenosaunee (Iroquois), is an attempt to explore the knowledge of First People. It is not an authorative treatise on the Iroquois but more about what we, the world, might learn from them that will enhance the world around us for ourselves and future generations. With the colliding of two ancient cultures, it is most evident in each world view. Europeans came from a culture of Kings and Queens, of land owners and serfs, of poor and debtors prison. They came with a sense of lack, and religious omnipotence. They came with a mind set that was the result of ancient histories involving inquisitions, heretic persecutions, the Crusades, and the reformation. Gutenburg had invented the printing press enabling the Bible to be printed and placed in the hands of any who could read. This also led to major renovation of church and spiritual beliefs which were manifesting itself in fervent missionary work not only among the Church of Rome but also among Protestant sects. Native Americans were surrounded by the Natural World. Their world view is Oneness. Everything is connected, therefore, everything has a relationship to each other. Everything is living, both spiritually and physically therefore required being treated with respect and honor. Because everything was connected in what Indians termed "The Sacred Hoop", they looked at the world as one big family. Native American concept was brother and sister, Mother and Father... relationships. You will recall that the President of the United States was considered "the Great White Father"... a relationship... not a position. This family concept permeated all of creation. And they attach "human" characteristics to these relationships. So the moon is our Grandmother, the Sun is Uncle or Grandfather. The Earth is our Mother. To the Native American, the animals, the birds, the fish, even the creepy crawly were our brothers and sisters sharing this earth. An example is the creation story of Grandmother Spider who spun the sack that would hold the earth in the Universe. EACH had something to teach. Each was a teacher. The Indian watched, and studied and learned from the Natural World. The Natural World was the basis for their world view, not the long struggle of the history of the Europeans. To Native Americans, no one was greater than anyone else. All were important and necessary. Each had special gifts to help the people. Life was a sacred gift. The Earth was a sacred gift because they got everything they required for life, for living, from the Earth. Having this respect and being surrounded with the Natural World, they looked to the Natural World to answer all their questions. No one owned land. No one was poorer than their neighbor as they shared in good times as well as bad times. So the European concepts of land ownership, of KINGS and QUEENS or any hierarchy of any kind was not in the Indian Consciousness. Those who first wrote records of these strange people on this Turtle Island, put concepts into their European understanding and by doing so convoluted what they were attempting to record. The European concluded that the Native Americans WORSHIPED the animals. European thought looked upon all in the earth was for their use and subduing its wildness. To Native Americans, the Natural World was already perfect. Humans needed to fit in and cooperate. Europeans believed in the Mastery of the Earth and all things in it, while the Native American believed in Harmony with the Earth. Native Americans communicated with the living Natural World. They received teachings from everything around them. History of generations of persecution had removed all of this from European belief so it is easy to see how such differences in foundation concepts had no meeting place but were colored through filters that were culturally biased by thousands of years. It was the basic inability to "see" through another's eyes. In Europe, people ruled by force, by power and influence. In Northern America there was no ruler in European terms. Those who had proven their wisdom, and their love for the people became Sachems or Yagowanehs. In European vernacular it would actually translate close to "Honored Man or Honored Woman" respectively. These individuals had proved through a lifetime of service to the People their wisdom, their knowledge, their connection to the Natural World, their love of the people. And through a lifetime of service had EARNED the designation of Honored personage. Everything was done through cooperation. Those who led did so by agreement and by service to others. So their view of the spirit world was the same way their physical world was organized. As above so below.. or ... as below so above. Their spirit world reflected what they knew in the physical world. The Great Spirit was a Father who was all wise and caring, but whom could be made angry, but no great punishment was involved, for He is a Father, and no Native American father punished his child harshly. All was a logical extension of the human family and the relationships inherent in that family. The earth itself is watched over by a council, just like the tribes were governed by councils. They had no Kings or Queens like in Europe. Europeans preoccupied by status and hierarchy could not relate and concluded that the Native American was either polytheistic or God-less, neither of which was totally accurate. World view and semantics caused a huge disconnect between cultures, not enabling them to share an understanding that reflected correctly Native American beliefs. The Indian HONORED all life, and respected that connection. Because of that, they saw spirit and they saw relationships in every aspect of existence. Behind every story there is a spiritual aspect, a way to help the spirit of the human grow into wisdom and knowledge. This is not a religion but a way of life... a way of seeing the world around us. So this is what we have worked to achieve. One to provide an opportunity to learn about the Native World View. Third, to begin a recognition some of the things that we might have learned from the Red man. We hope that you find this work which we have labored over in love, helpful to your classes in building character, but also respect for each other, and the world they live in. About Barney Skoro After teaching American history and government in our junior and senior high schools for over 30 years, I felt that I had a pretty good understanding of the origins of our democratic institutions. My students and I had considered the ideas of the Enlightenment and our Founding Fathers; studied the Constitution and its amendments. I had heard of the Iroquois Confederacy and Constitution but approved texts made only passing references with little, if any, discussion as to the significance of the ideas and processes found there. In fact, Native American history was often presented in a way that led one to believe that the demise of these people was a necessary consequence of Western expansion and, other than the possibility of some sense of societal remorse for a series of shameful acts, little was really lost. Taught social studies and reading classes for 31 years at both junior and senior high levels. Also served at times as an adjunct professor for Boise State and Northwest Nazarene Universities. Created, developed, and wrote curriculum for a unique hands-on honors American government program whereby selected high school seniors worked as interns at the Idaho State Legislature for executive branch agencies, interest groups, and legislators. Students earned both high school and college credit. Created and wrote curriculum for an Idaho Citizenship program that, at one time, was required for all Meridian District high school freshmen. Assisted in developing, implementing, and coordinating Ada County Youth Court Program. Charter member Board of Directors of the Meridian Education Foundation. Established and advised high school environmental awareness and human rights clubs. Published "Idaho State and Local Government", a text supplement used in most Idaho high schools. Taught summer and evening graduate and undergraduate education classes for Boise State University from 1983-88. Conducted many curriculum related workshops at professional conferences and in-service training programs. Served as guest speaker for many college education classes. Coordinated and supervised YMCA High School Yourth Legislature. Served as a Teacher-Mentor for Meridian School District. Supervised ten student-teachers from several universities. Endorsements in social studies, history, government, sociology, psychology, and reading. This award was given for helping design, coordinate, and implement a statewide human rights conference for high school students.